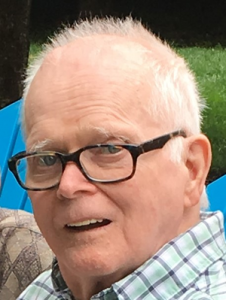 John D. Allen, 78, a long-time resident of Keene died on Tuesday, July 24, 2018 at Sullivan County Health Care in Unity. He passed peacefully after a period of declining health. Jack was born the son of the late Lucille (Sherwood) and Dr. Fred Allen on August 31, 1939 in Columbus, OH. He grew up on the family’s dairy farm with his seven brothers in Durham, NH. He graduated from Oyster River High School class of 1958 and went on to University of New Hampshire graduating in 1963. In 1962 Jack married his high school sweetheart, Jacqueline Hull and together had 3 children. His first job out of college with Heath Survey Consultants took them cross country and back. He then went on to head up the Soil Conservation Service in Woodsville, NH and later was transferred to Keene. It had always been his dream to operate a commercial strawberry farm and in 1971 his dream came to fruition. In 1973, at the age of 34, Jack was diagnosed with Parkinson’s Disease. The disease had its boundaries, but Jack did not let that stop him and he went on to run a successful business until 1990. At that point, surrendering to the disease, he gave up the strawberry farm. However, his reputation precedes him to this day. Throughout his years and when time allowed Jack was always up for a good game of cribbage or poker. family of nieces, nephews, and friends. Jack is pre-deceased by his son Jeffrey J. Allen who passed on April 6, 2018 and his son-in-law Glenn Madden, who passed in September of 2017. The family would like to express their gratitude to the staff at Sullivan County Health Care for the care and support they provided over the last 4 years. In lieu of flowers donations can be made to: Sullivan County Health Care, 5 Nursing Home Dr. Claremont NH. 03473.